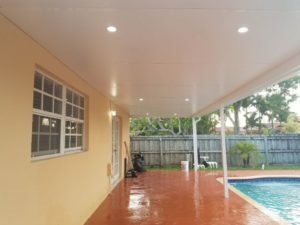 Fuji Aluminum offers a great variety of insulated roof patio. All our products have been approved by the government and have the highest quality standards. 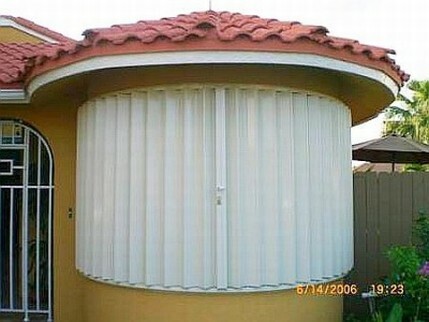 We have a great variety of accordion shutters. All of them are custom made depending on the size of your door or window. We also have different colors such as white, ivory and beige. 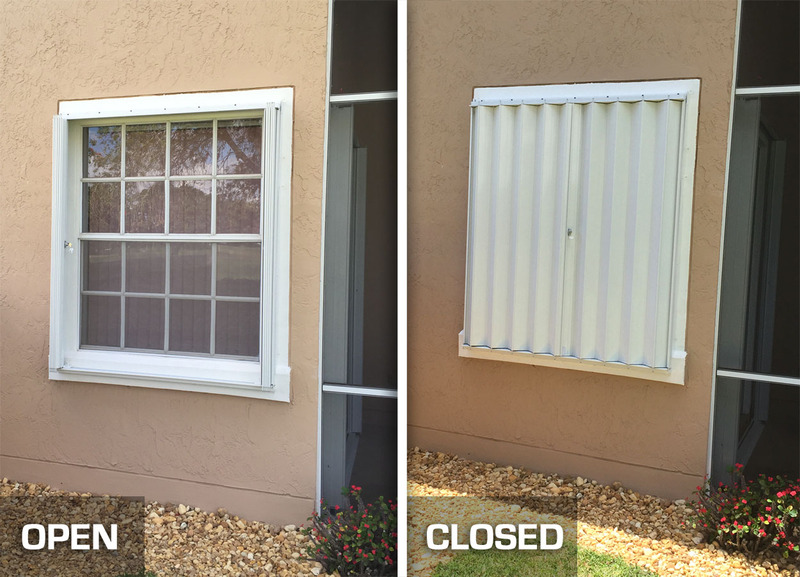 The accordion shutters are the most effective hurricane shutters on the market. Once they are installed, they are easy to open as shown on the picture. 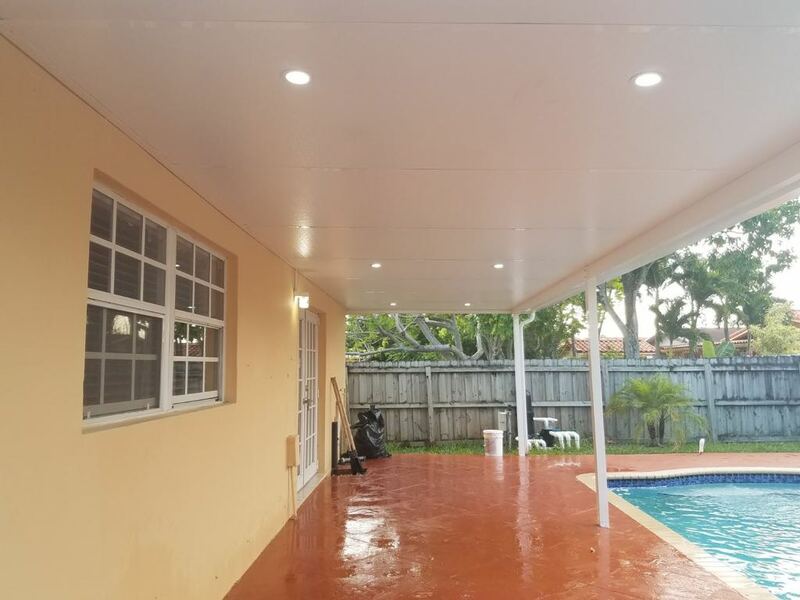 We are ready to provide you a quote for accordion shutters. Just give us a call and we will be glad to help you.